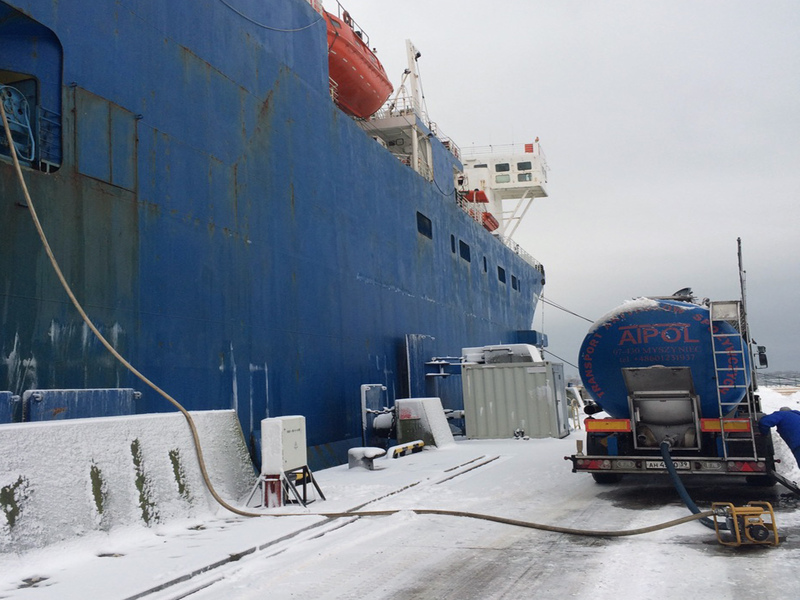 Fresh drinking water bunkering (ship’s supply) at the ports of Kaliningrad region is one of the services offered by Our company today. Fresh water which is delivered by our company responds to the requirements of Russian state standards for vessels: fresh water is drinking and clean, without odors and flavors, safe in epidemiological terms (does not contain harmful impurities and pathogenic bacteria), which is confirmed by corresponding certificates of quality and by regular bacteriological research (at least once in three months we make a research at laboratories of Sanitary-Epidemiological Service). 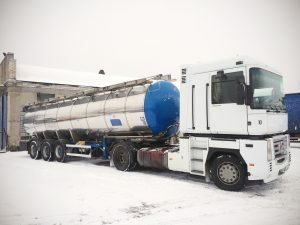 Bunkering with fresh water is carried by trucks, equipped with tanks: 32 m³ capacity (the 1st section – 11,0 m³; the 2nd section is 6,5 m³; the 3rd section is 14,5 m³) and 30 m³ capacity (one section). The tanker-truck with equipment (tank, hoses, pumps and adapters) are made of nutritional stainless steel, which allows to preserve the quality of transported drinking water and save its original properties. Above mentioned equipment has the appropriate certification. The advantage of the ship’s supply with fresh drinking water from the municipal wells is a high reliability of this method. We are interested to supply our clients with fresh water in a timely manner, so that this water does not lose its properties which it has during the extraction. 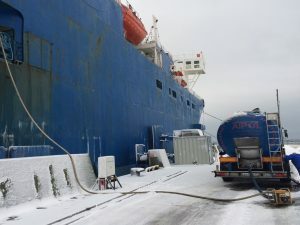 Fresh water bunkering is produced from the berths of the Kaliningrad port (Kaliningrad, Svetliy, Baltiysk, Pionerskiy).